Allows you to support RSVP’s work within Adams County–tutoring, Veterans, Meals on Wheels, Gettysburg Festival volunteers, and more! Just a reminder that the Adams County Giving Spree is tomorrow. From the website you can make a donation and designate RSVP of the Capital Region and pay with PayPal or a credit card. RSVP of the Capital Region is excited to present Patricia Gadsden as our Dauphin County Volunteer of the Month for November. Pat has been a volunteer with RSVP for 5 years and serves on the RSVP Board of Directors and is a facilitator for Explore Your Future classes. Pat teaches Explore Your Future classes which help people 50+ look at their past, present, and future so that they can decide what they want to do with the rest of their lives. Pat has helped many people to take the first steps in setting goals and achieving their dreams. Pat also has her own business, Life Esteem, where she is a professional and personal trainer and helps others reach their full potential. 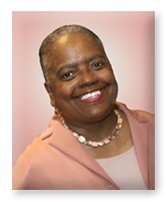 RSVP would like to thank Pat for her willingness to share her time and talents. Thank you Pat for all you do to help others and the community! RSVP, the nation’s largest volunteer program for adults aged 55 plus, is a Senior Corps program of the Corporation for National & Community Service. RSVP works with volunteers who are 55 and older to help match their time and talents with volunteer positions in the community. RSVP volunteers serve as tutors, meals on wheels deliverers, friendly visitors, VA Medical Center helpers, mentors, knitters/crocheters, food bank workers, van drivers, disaster responders, activities aides, clerical workers, quilters, and much more. For more information on volunteer opportunities, email dauphinrsvp@rsvpcapreg.org , visit RSVP at www.rsvpcapreg.org, or call RSVP via the Camp Hill office at (717) 541-9521 or the statewide Senior Corps of Pennsylvania hotline toll-free at 1-800-870-2616. Explore Your Future is a program of Coming of Age out of Philadelphia, an initiative to promote civic engagement to people 50+. RSVP of the Capital Region has named LCCM Volunteer Gene Deiter as its Lebanon County Volunteer of the Month for November. 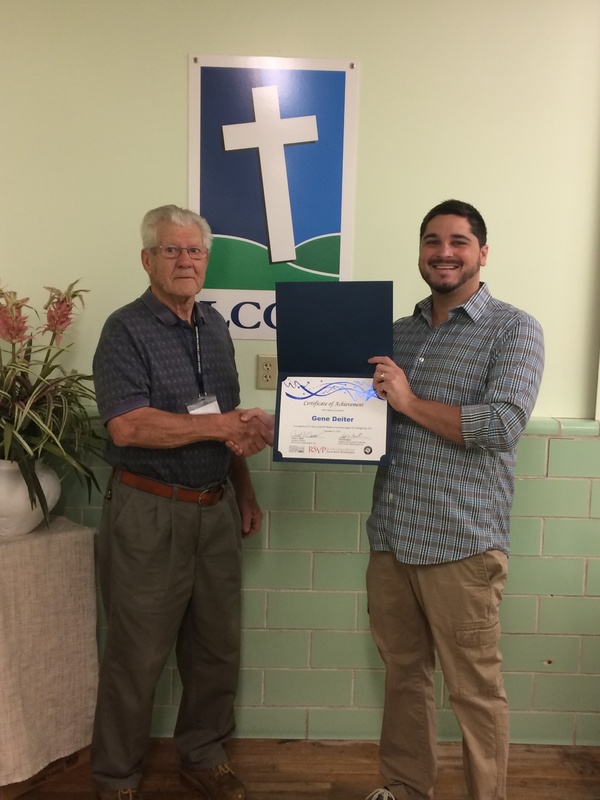 Gene is a main part of the family at Lebanon County Christian Ministries and provides the area food bank with 55+ hours a month of service—sometimes up to 70 hours. To watch him work is a thing a beauty. He can out-pace, out-think, and out-last younger Volunteers. Gene grew up and lives in Palmyra to this day. He is happily married to Mary Deiter, his wife of 35 years. Gene retired from 18 years in Hershey Public Works. And to illustrate Gene’s work ethic, he used his vacation time during those years, so that he could indulge in his first love……being a stagehand at the Hershey Arena Theatre. This was Gene’s calling. So much so, that it cost him some of his hearing due to the loud concerts that he used to work. Gene was also a member of the Stagehand’s Union for many years. Gene’s current hobby says a lot about who he is. Gene loves to ride bike, but that isn’t where it ends. He takes that time to pick up aluminum cans that he finds along the road. And that character carries over into his volunteering efforts at Lebanon County Christian Ministries, Lebanon County’s Food Bank. According to Dan Landes, LCCM Development Manager, you can usually find Gene there up to 30 minutes before it opens at 8 AM, just so that he can take that time to go around the building and pull weeds, pick up trash, take care of the plants, and adjust the landscaping timbers. He doesn’t do it for the recognition. He does it because it is a part of who he is: caring and giving. Gene does a host of other tasks for LCCM—everything from driving vans to pick up donations, to delivering noon meals to the ‘less-fortunate’ that are immobile, and in need of food. He also commits himself to maintenance work, and anything else that he deems needs his attention. When told of a need, he is quick to help. If coverage is required, he can be counted on to help. Gene is a shining example of the good that can be accomplished when we give back. He is a living legacy and Lebanon County is proud to have him as our neighbor. RSVP, the nation’s largest volunteer program for adults aged 55 plus, works with volunteers who are 55 and older to help match their time and talents with volunteer positions in the community. For more information on volunteer opportunities, email lebanonrsvp@rsvpcapreg.org or call RSVP’s Lebanon County office at (717) 454-8956 or the statewide Senior Corps of Pennsylvania hotline toll-free at 1.800.870.2616. RSVP, a Senior Corps program of the Corporation for National & Community Service, recruits and places volunteers as: tutors, meals on wheels deliverers, friendly visitors, VA Medical Center helpers, mentors, knitters/crocheters, food bank workers, van drivers, disaster responders, activities aides, clerical workers, quilters, and numerous other opportunities where they are most needed in Lebanon County. Visit RSVP at www.rsvpcapreg.org. RSVP of the Capital Region also receives funding support from the United Way of Lebanon County.